Alumnus Fumin Zhang (EE Ph.D. 2004) has been promoted to full professor in the School of Electrical and Computer Engineering by the Georgia Institute of Technology. As a student at Maryland, Zhang was advised by Professor P.S. Krishnaprasad (ECE/ISR). Zhang joined Georgia Tech in 2007, after completing a postdoctoral appointment in the Department of Mechanical and Aerospace Engineering at Princeton University with another alum, Professor Naomi Leonard (EE Ph.D. 1994). Zhang’s research program balances theory and applications. His interests are in the design and control of marine robots and mobile sensor networks, as well as cyber-physical systems theory with a focus on feasibility of control tasks on networked and embedded computing devices with limited power. His work on mobile sensor networks aims to answer the challenge of monitoring large areas in the Ocean and Atmosphere with limited sensing resources and limited power. He is interested in cyber-physical systems that integrates control theory, embedded systems and distributed sensing algorithms with real world applications constrained by environmental disturbances and limited power. His theoretical contributions are implemented on actual robots and sensor networks as distributed control and sensing algorithms. 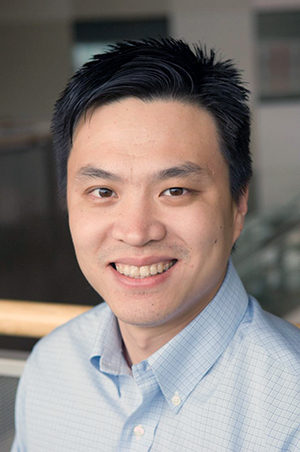 Zhang was the recipient of an ONR Young Investigator Program award for “Generic Environment Models (GEMs) for Agile Marine Autonomy” in 2010 and an NSF CAREER Award for “Feasibility of Control Tasks: Towards Control-Computing-Power Co-Design” in 2009.